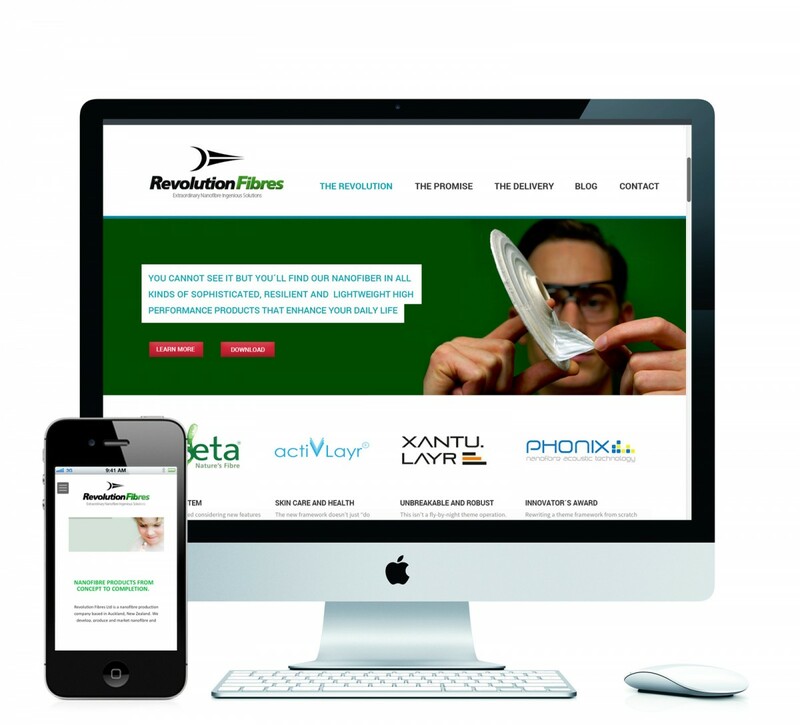 ZSUWD has developed the concept, design and code for the redesign of Revolution Fibres´ logo and website. The focus for the design of the company logo was placed on a smart mix of connotations of future technology and revolution. The logo illustration has a strictly technical look-and-feel and visualizes the nozzle of a nano fibre production unit where the typography subtly reminds of propaganda art integrating a star in the first-letter R. The cursive font style practically leans towards the future while suggesting dynamics and progress, exactly the business fields of Revolution Fibres. The website convinces with a clearly arranged technical overall impression. The start page contains several teasers in a slider as well as mutliple boxes linking to the products of the company´s portfolio. A visual editor interface enables the customer to easily re-arrange, modify or publish search-engine optimized content per drag and drop without any coding knowledge.